The lettering on the sign may have been inspired by Tempo Extra Heavy (c. 1931), a type family designed by R. Hunter Middleton for Ludlow Typograph. (Mac McGrew calls it Tempo Black.) The R in Tempo Extra Heavy does not have an open bowl and the tail of the Q is positioned closer to ﬁve o’clock than in the sign , but the ampersand is open at the top. 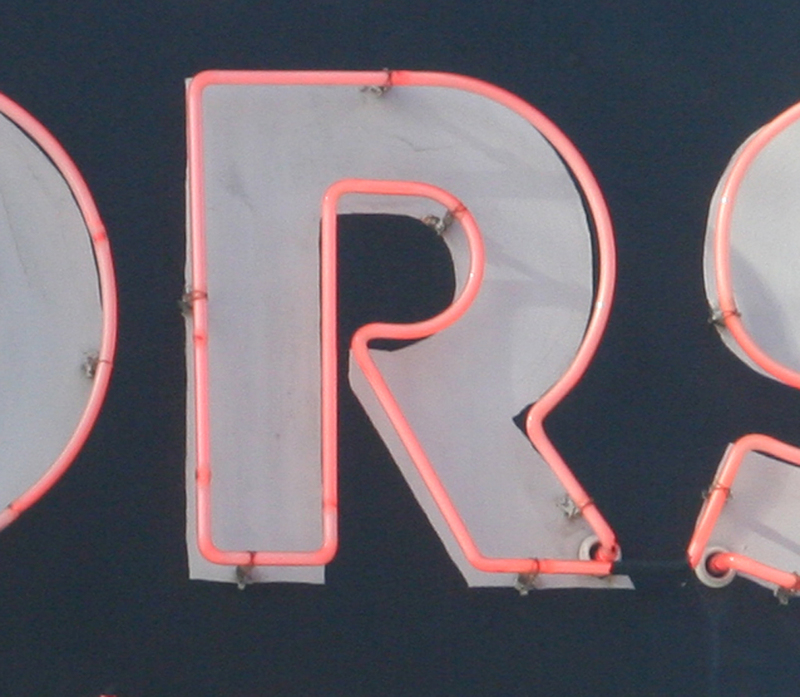 The open bowl of R in the sign may be a concession to the physical constraints of neon. It is easier to design than a closed bowl. 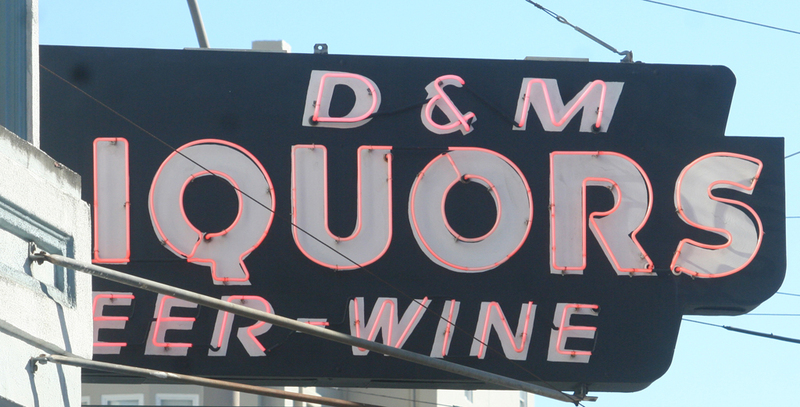 Then again, one does not expect to ﬁnd an exact match between the lettering on a neon sign from the 1930s and 1940s and a typeface designed for print. * It is the uniqueness of such signs that is one aspect of their fascination. *There are two other typefaces, both German designs, of a similar weight with an R like that of Tempo Extra Heavy, but not a Q or ampersand that is as close: Cable Heavy (Klingspor, 1928) and Elegant Grotesk Bold (D. Stempel, 1928–1929). Cable (the name given to Rudolf Koch’s Kabel in the English-speaking world in the pre-World War II era) was available in the United States through Continental Type Founders but Elegant Grotesk was not.